"W-wait, you what!? Im gonna what!?" I say in a shocked tone. "You heard me. Were going skiing!" He says in an extreamly chipper voice. "Were what?" Tyler asked standing in the hall way yawning. "Were gonna take (Y/N) skiing" Brendon happily answers. I could tell Tyler was too tired to acknowledge that because he just nodded and got some coffee. Brendon got up and started talking to the driver about the new change in our schedule and he called me over to tell them where the place was. I told them the name of the ski resort and the driver set his map. Afterwards me and Brendon sat back on the couch and Brendon had posted all over social media about the plan change. Some fans were very understanding, however there were some haters and were really upset. Brendon had told them that they will get into the next concert after the trip and they wont need to buy a new ticket which made some of them a little happier but the rest were still upset. We decided to ignore them. 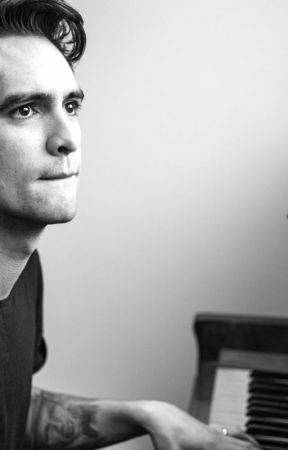 "I have an idea" Brendon says out of nowhere. "What?" I ask as I hold his hand. "ok, well, I have two ideas, one isn&apos;t really an idea but still, ok, the idea is that we should invite your mom to come. I&apos;ll pay for her room and the drive up there." He says with an excitement that I haven&apos;t seen in a while. "Ok, ill call her in a minute. what was your other thought?" I say. "Well, I don&apos;t have enough winter clothes and I figured nobody else did since we weren&apos;t  ready for this. So were stopping at a nearby winter sports shop to get some things." He said while smiling still with a uch an excitement that I haven&apos;t seen in forever. "B-but Brendon, I don&apos;t really have enough money..." I say as I get a sudden wave of sadness crash over me knowing that we might have to cancel the trip. "Don&apos;t worry I&apos;ll pay." He says. "Brendon that&apos;s a lot of money... im gonna have to pay you back." I say as I lay my head in his lap. "no, I don&apos;t want you to pay me back for anything. Listen I have you. And I have been looking for you for so long. Ever since I divorced Sarah. Listen, I don&apos;t want to get this far into it but im paying and your not. And your gonna be happy about it. Ok?" He says and I just giggle and agree. "Thank you Brendon. I really don&apos;t know how to tell you how lucky I am to have you right now. And to be perfectly honest." I say standing up. "IM SO EXCITED" I scream in I really high pitched girly voice as I jump up and down. Brendon laughs as a tired Josh comes in and picks me up over his shoulder as I pound on his back to put me down. Brendon just sits there and laughs as Josh locks me in the bathroom and walks back out to Brendon to ask what&apos;s going on. I sit there quiet to hear their conversation. "So what&apos;s this about (Y/N) being excited and us putting our concerts two weeks behind?" "Well, don&apos;t ask why cuz im not gonna explain why, but were going to a special skiresort and (Y/N) is gonna teach us how to ski." "Im not gonna ask why...but what about ski clothes or boots or skis?" At that moment I managed to unlock the door and explain everything. After Josh and Tyler heard my back story they both gave me hugs and understanding about the concert dates changing. I sit back down next to Brendon as he wraps his arm around me and with the other he drinks his coffee. "Wow, Brendon, you got better at making coffee" Tyler smirks while I laugh a little. "Actually I made it Tyler, not Brendon." I laugh and Tyler looks at me in awe. 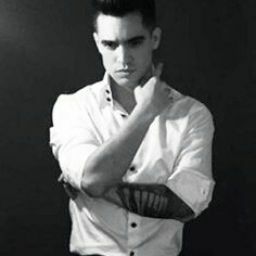 "Huh, I didn&apos;t think anyone could make coffee better than Brendon. Brendon, you should let her teach you how to make coffee" Tyler said giving Brendon a nudge as he sat down next to Josh. About an hour of talking and driving we made it to the winter sports shop. "Ok, Josh, Tyler, for skiing here is a list of things you will need to buy." I say handing them a paper. The first thing on our list is a coat. Me and him take off and look in the guys coats section. Brendon gets a long black trench coat and a dark red and black snow coat. To be perfectly honest I don&apos;t know why he got the trench coat. We go over to the women&apos;s coats and looked around. I picked out a long black snow coat that had golden zippers and a really fluffy hood. Then I look back at my list for me and Brendon and go for the second most important things, snow pants. We look around and Brendon gets a pair that matches his snow coat. Then we look around and I find a pair of white and red snow pants. The next thing on our list is thermals. Or clothes to wear under your coat and snow pants. I get three pairs of just plain Black thermals and Brendon gets the same color. We bump into Tyler and Josh when we go to the ski socks area. (And yes, there is such a thing as ski socks)  We ask them how there doing and they say they are almost done. Tyler has a matching set of plain black snow pants and a coat and Josh has a blue matching set. We all ended up getting black thermals. We grab like three pairs of ski socks off the shelf cuz we don&apos;t really care to much about the design. After that we go over to the hats, gloves, and bandanas rack. I grab a pair of red snow gloves and Brendon gets a black pair. Josh gets a blue pair and Tyler gets a white pair. I get a black beanie and bandana. Everyone else just gets a black bandana. The next thing on our list was a helmet. I got a shiny black one, Tyler got a red one, Brendon got a smooth black one and Josh got a blue. &apos;Man...Josh is gonna look like a blue stick falling down a hill. &apos; I think to myself as I giggle a bit in the store. "What&apos;s so funny?" Brendon asks. "Nothing...just thinking about all the crashes your gonna have." I say, and it wasn&apos;t a lie, I mean, I was thinking that too. I look around a bit more and we decide to check out. After that we get back on the tour bus and start driving. I call my mom and she says she wish she could come but she&apos;s afraid that bad memories of her and dad will ruin the trip for her and me. She says thank you anyways and we hang up. It has been about four hours since we left the ski shop and the roads are looking very familiar. I sit on the couch backwards looking out the window and sqealing like a little girl. I remember the excitement of when I was younger and I would always wait and look out the window to see the sign that enters us into the ski resort. After about an hour of me looking and admiring the snowy wonderland we were driving through I finally see that one amazing piece of wood. Sitting there with the arrows showing us to turn into that road to get to my second home. I start jumping up and down and screaming when I accidentally wake Brendon from his nap. He just laughs at me while the bus pulls me to the front entrance so I can check in. I walk inside while the bus goes to park, and I immediately remember everything. I try to hold in screams as to how excited I was. I slowly walk up to the check in and talk with the lady. I sign in when all of a sudden I feel a hand on my shoulder." (Y/N)?" I turn around not recognizing the voice but recognizing the face. "Aiden?!"